The label is today an integral part of every laboratory test. With that in mind, we created the etiCALLS program. It equips laboratories with a complete set of products and tools that allow to easily identify the sample, track the exact course of the test and the processes it was undergoing. The solutions offered ensure the readability and durability of the print even under extreme conditions of storage, as well as excellent adhesion to a variety of surfaces. 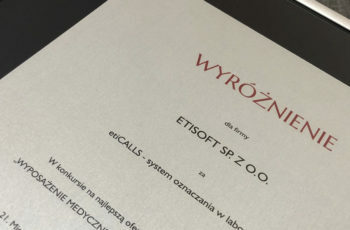 ETISOFT Kraków has executed an order (...) for the delivery of lab printers (...), bar code readers and software (...). The order was handled smoothly, the installation of the equipment and the handling training was delivered (...). The project was carried out within "Creating a Center of Advanced High Performance Molecular Technology at the Faculty of Medicine of the Jagiellonian University - Collegium Medicum". On the basis of the so far cooperation with ETISOFT Kraków, we highly value the professionalism of customer service, competence and professional experience of the staff. ETISOFT Kraków is a supplier of labels for blood component containers as well as complementary thermal transfer ribbons (...). The order was executed according to the contract and our delivery schedule. Professional order handling, high quality goods, timely delivery and flexibility are worth recommending. ETISOFT Kraków is a professional supplier and a reliable business partner. 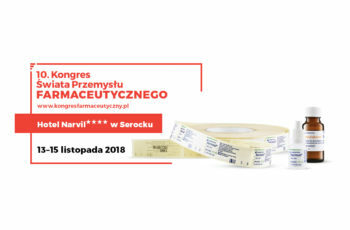 ETISOFT Kraków is supplying our institution with labels for printing templates for barcode labels describing donations, as well as thermal transfer ribbons complementary to these labels. The quality level of the materials provided is high and so far we had no quality control issues. On the basis of the so far cooperation with the ETISOFT Kraków company we highly appreciate the professionalism of customer service, competence and professional experience of the staff. 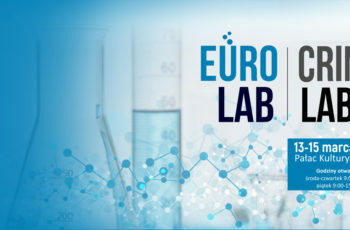 ETISOFT Deutschland is a supplier of labels, printers and software for our laboratory. The requirements we put in place were the accurate and legible marking of our laboratory material. We have done a lot of tests with ETISOFT Deutschland labels under liquid nitrogen and dry ice conditions. With high quality labels we can hold a lot of information on a small surface of the label, the print is durable and legible. Labels remain intact even after storage under extreme conditions. By linking the database (Excel) to the design program, hundreds of labels can be printed with different descriptions in a very short time. This function effectively saves our time. We are very satisfied with the service of ETISOFT Deutschland, which has helped us to deal quickly with the problem of proper marking of laboratory samples.